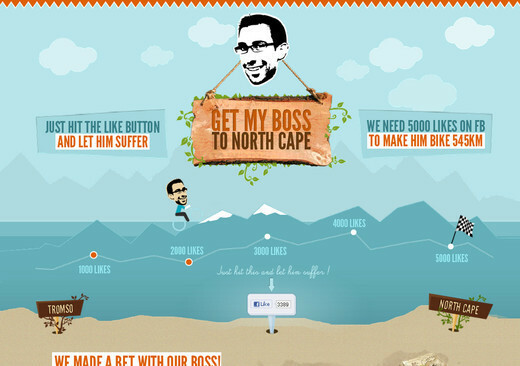 Using illustration in web design has become quite trendy these days. 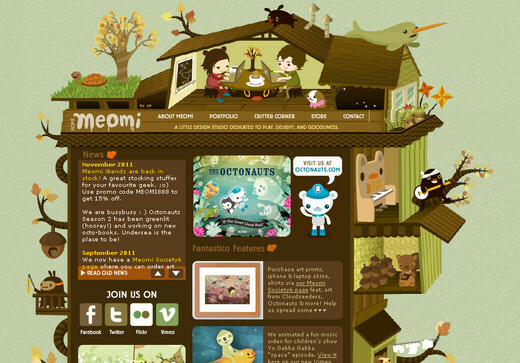 People love to see beautifully designed illustration based websites because they stand out from the rest. Not only because of the beautiful illustrative art work and carefully crafted web designs but also because of the perfect balance struck between these two important components. 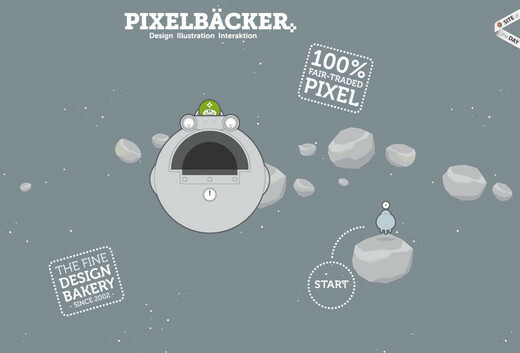 Today, we want to dig into some creative ways you can work beautiful illustrations into your web design projects. We hope that this compilation will inspire some new ideas. You can see in the examples where designers have captured a certain illustrative style and wonderfully integrated it into website design in various ways. These unique illustrative styles make a website more memorable. Enjoy! 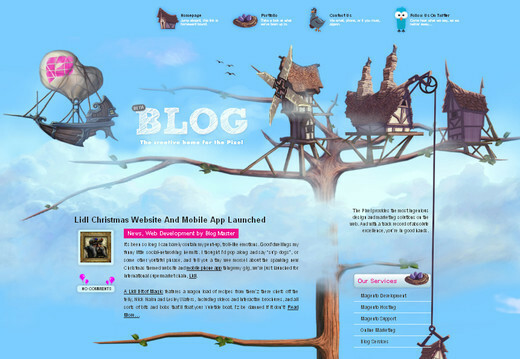 Plavacek.net takes a unique and gorgeous approach with its design that certainly looks great and attention grabbing. 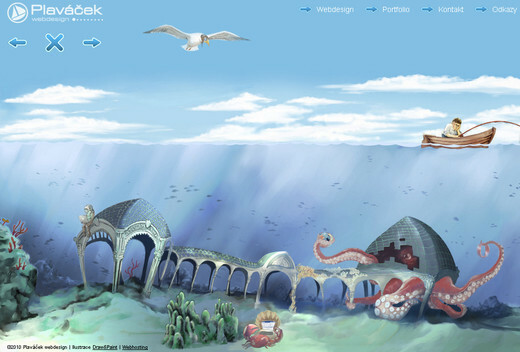 The designer imaginatively presents the underwater and above water scenes in a single frame brilliantly. 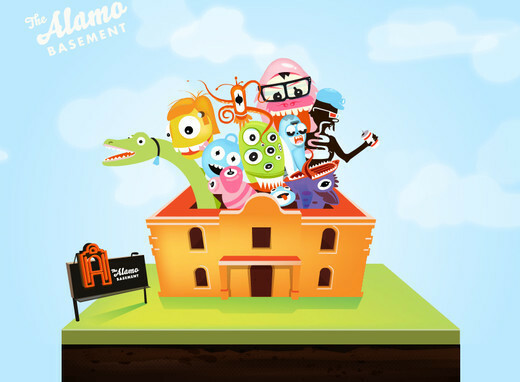 In this web design, although the mascot is not the only bit of illustration and character work present it does add a lot of personality. 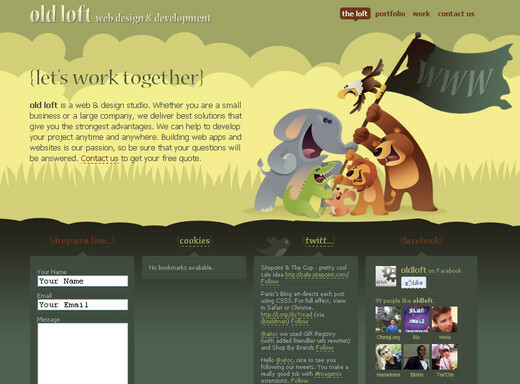 The overall illustrations and style of the site make it a less formal presentation. 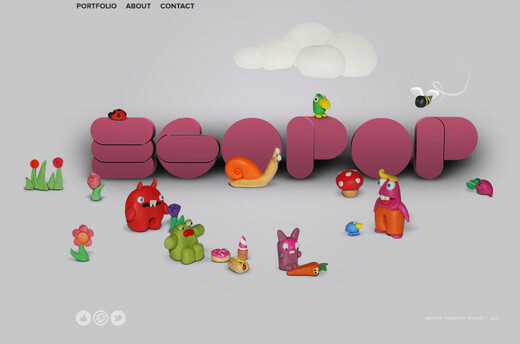 This is another illustration driven web design that demonstrates the different levels of playfulness and whimsy these types of illustrated elements can add beyond pure decoration. Pampaneo’s lively use of yellow and green with idiosyncratic characters creates a bold look with depth and balance. 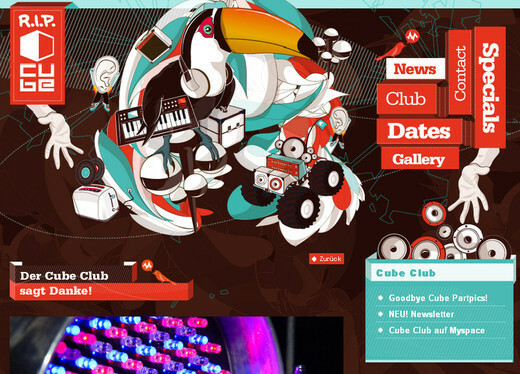 This is another site with a very stylish design, but with a much busier layout. The blue-tone gives a very strong impression. With this web design, the designer conveyed his own personal and unique style with a single illustration against a vast amount of whitespace. This makes the design look hugely impactful and very beautiful. 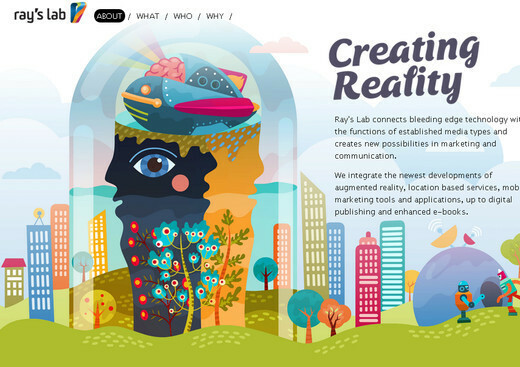 This website successfully manages to be unique in its own way by highlighting the illustration with carefully positioned content; and since this is accomplished effectively, the result is quite spectacular. What makes this website stand out is not only the stunning illustrative art work or the vigilantly crafted design; rather it is the beautiful balance between these two components like was mentioned in the opening. 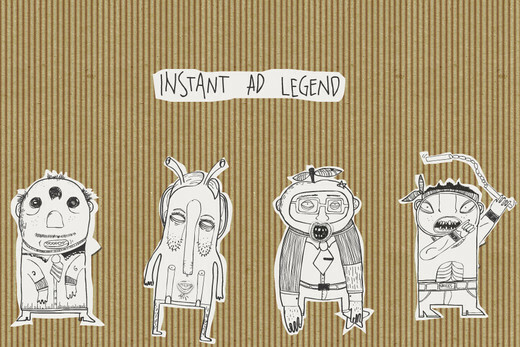 This website demonstrates a beautiful submersion in illustration. 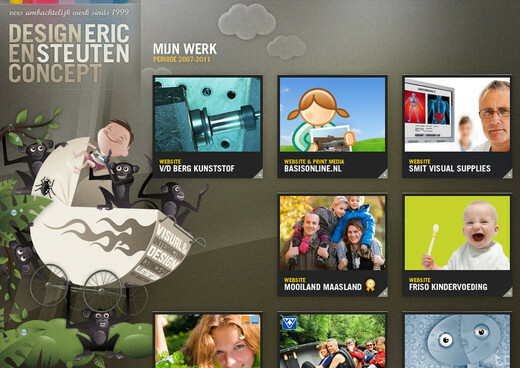 You can see how creatively the designer makes use of their illo skills. The illustration presented in this website although it is very colorful and has some depth, it still maintains a bit of a simplistic feel. 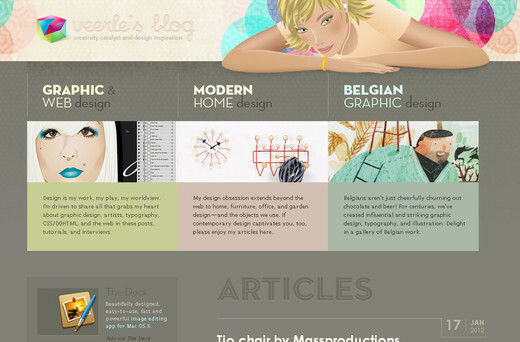 The muted tones used for the rest of the site really make the splash of color in the pie very pleasing to the eyes. 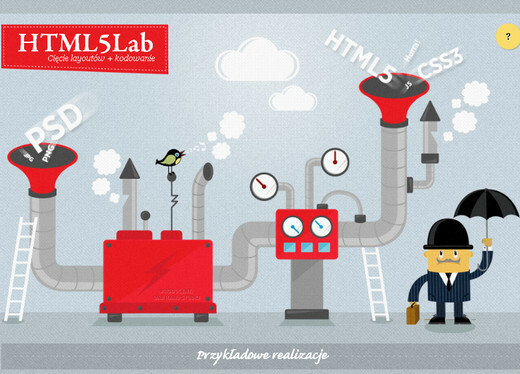 Html5 Lab has a bold site, using large 2D illustrations and some light embellishments coupled with a sharp color scheme of grey and red with little traces of white and black to pull the design together. 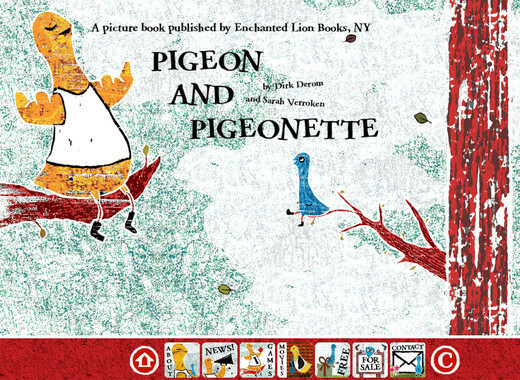 The uncharacteristic layout and quirky, vibrant illustration make Pigeon and Pigeonette worthy of exploring. Teamnomad’s header reinforces its own theme simply and in an understated way, though it is still extremely apparent, creating a strong brand connection quickly. The rest of the page leaves enough room to breathe, so viewers aren’t overwhelmed. A large stream of character illustration is paired with an otherwise simple website design, creating a very attention-grabbing result. There truly isn’t much here that could use improving. Here the design uses a rich, vibrant illustration that provides a stunning foundation for the design to work off of. Coopers kids’ illustration doesn’t carry on all through the page, but it works wonderfully with the peaceful color scheme creating a look that is both simple and effective. Although very eventful, with lots of movement to draw the eye, the design here is still balanced well. This balance seems so simply struck that it makes the whole process look easy. 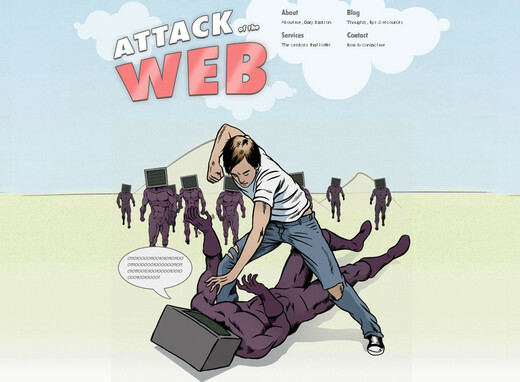 Attack of the web mostly confines the use of exceptional illustrative elements to the over-sized header of the single page site. 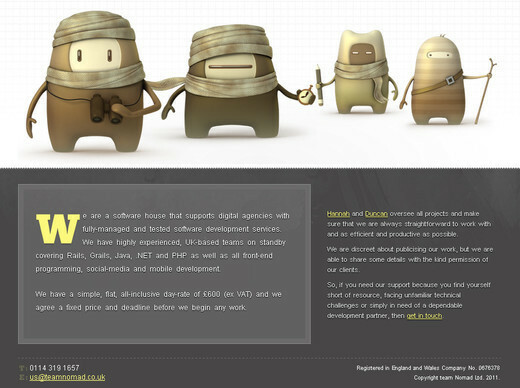 This is a great example of a functionality driven site with a strong use of illustration. 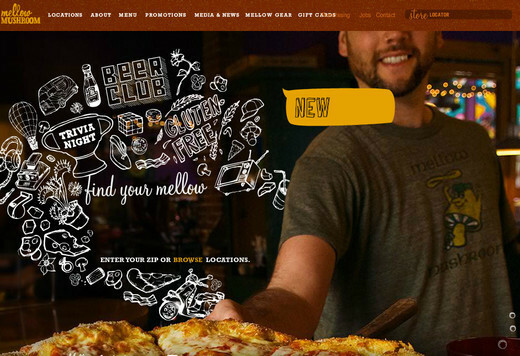 This web design has a strong letterpress print feel, with bold text and original icons. The repeated texture pattern is a nice touch. 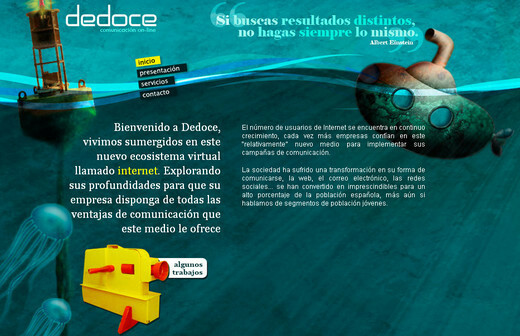 In this design, the underwater scene possesses loads of grunge and texture which keep it from looking like just another vector built website. 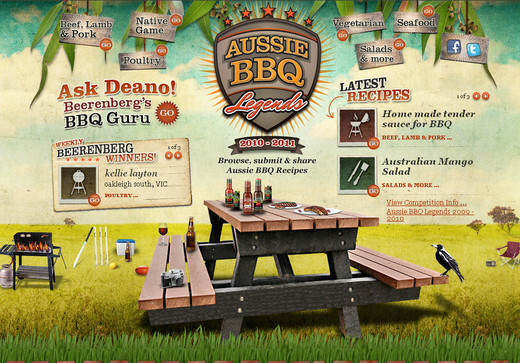 Cool Brush Design’s site throws restraint out the window yet still manages to pull off sophistication with ease. The majority of the illustration serves both ornamental and functional purposes. 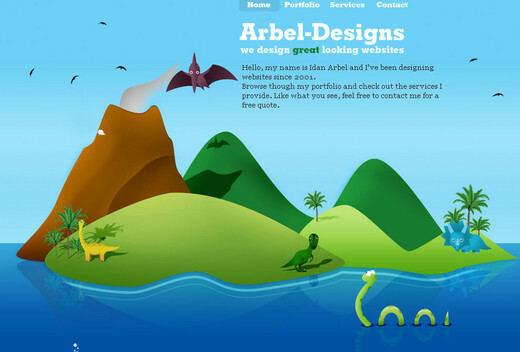 The illustration work in Arbel Designs’ site is extremely attractive and attention grabbing, however the way the tabs adjust when they are clicked is somewhat distracting; but the overall design is still extraordinary. 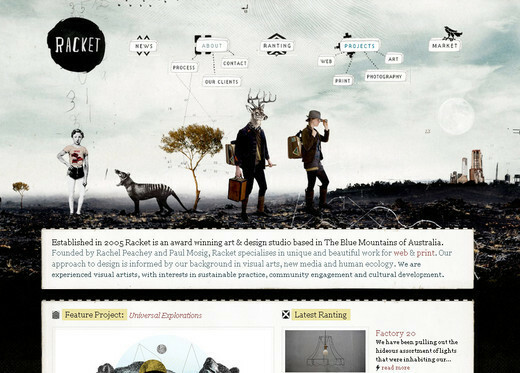 In this web design, illustrations are put to work to create an overall theme that looks visually alluring and appealing. 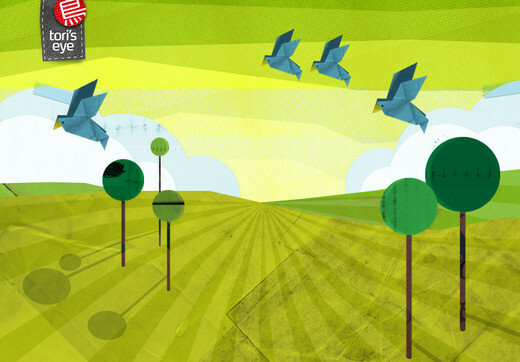 Here the thematic illustrations are used establish a very surreal tone or theme for the site, and they certainly grab the attention of the users. This web design whimsically repeats its fundamental mission statement through the illustration which comically recreates the site title whilst simultaneously establishing a theme. 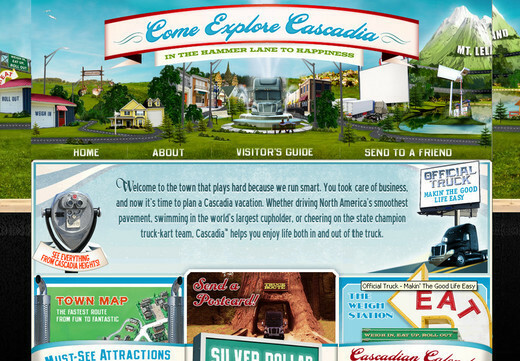 This is another site with an atypical layout in this collection. The illustrations in the design let you know about the individual this site represents as well as break the normal web mindset a visitor may have. 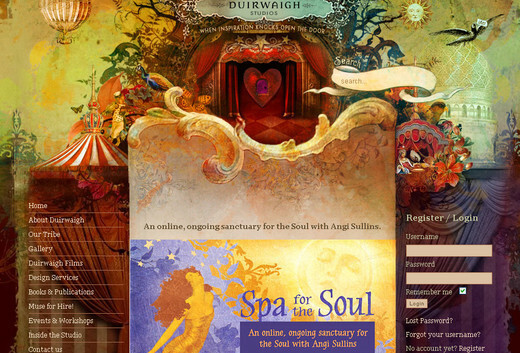 Duirwaign Studios makes use of illustration in a very beautiful and breathtaking manner. It also provides some life and movement to the design putting a memorable face to it. In this case, the interactive illustrative elements provide much more than mere decoration, adding an edge which smartens the design in a way that only interactive illustration can. 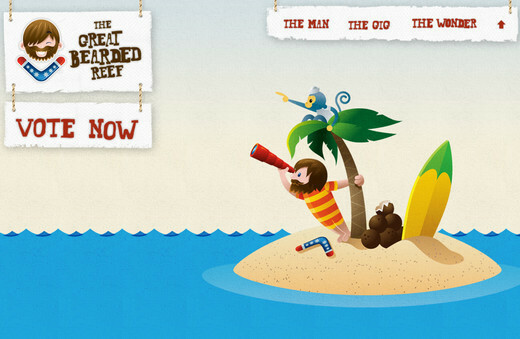 The Great Bearded Reef makes use of creative illustration to create this playful masterpiece. This is a distinctively fun, tongue-in-cheek design which fits and serves its purpose well. Here, the illustrations are relatively strange yet tempting owing to their inimitability and innovation. The big and bold typography definitely is the first thing that gets noticed, and compliments the rest of the design well. 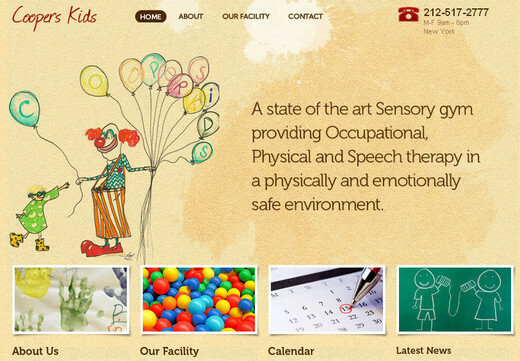 The background texture of this website provides it an extraordinarily captivating and personal feel. The visual explosion of characters and colors is great for getting the reader’s attention. This is an enormously stunning illustration full of interactive elements which comes with an unmatched style that captivates the visitors. 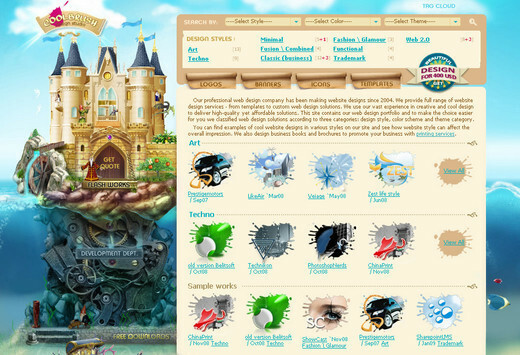 This website illustration instills a sense of enjoyment and wonder that engages the visitors with its appealing design. 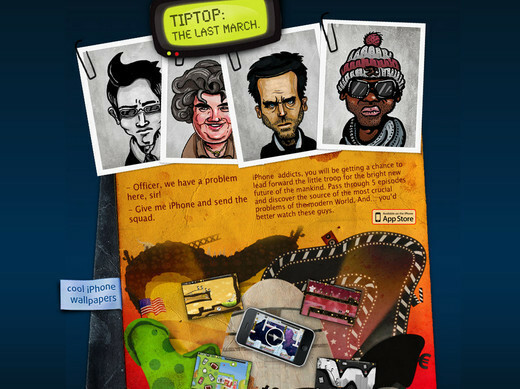 Old Loft brings into play an artistic and inventive illustration that makes this website both unforgettable and exceptional. The overall style of this website feels like an illustration, and still, it doesn’t have the characteristic humanistic elements. 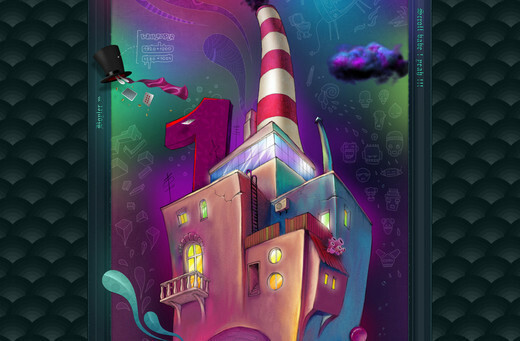 Here the illustration lends more backup support, with many brilliant background elements in play. Some of these are more corporeal than others, although in general they are more about visual support than anything else. This is an ideal example of illustrated design. The style is tremendously stunning, totally unique, and very appealing. The hand rendered design here showcases the designer’s talent. It demonstrates that they creates artwork with their hands that connects flawlessly to their animation skills. 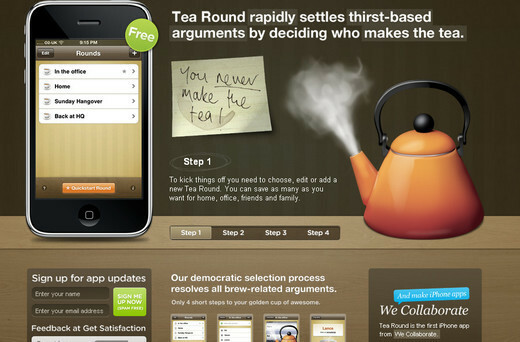 In this web design, the illustrated text is far more subtle than most. Rather than driving the whole direction of the design, it merely plays along nicely. The somewhat singular style of this design delightfully incorporates the large illustrative elements which play several roles in the overall design. thanks for that really nice selection, i’d not seen some of those. I found another nice illustration the other day on forrst…very cute illustration. These are great examples of creatively designed web sites, though we don’t get to see them too often when generally browsing the net. 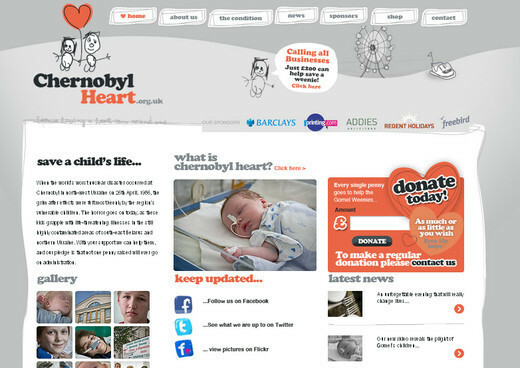 I honestly think that if more “Corporate” companys had more creatively styled and fun sites rather than being so conservative, then people having to perform sensible acts such as internet banking etc. would do so with much more of a smile on their faces! Come on, lets spread the joy. 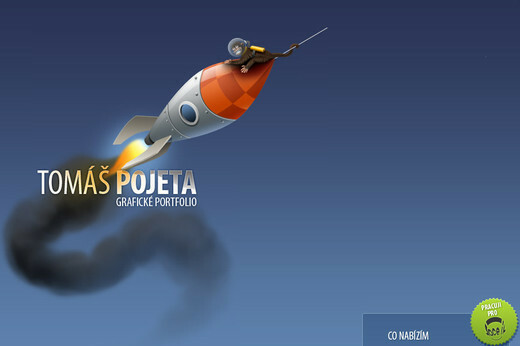 This is a good group of sites, I’ve seen most of them before but I really like “Pojeta”. I often have problems selling large graphical elements to clients, they take longer to create, longer to load, and are often low on text, which hurt SEO, but I’m really happy to see some people going for it. It just kept getting better and better. 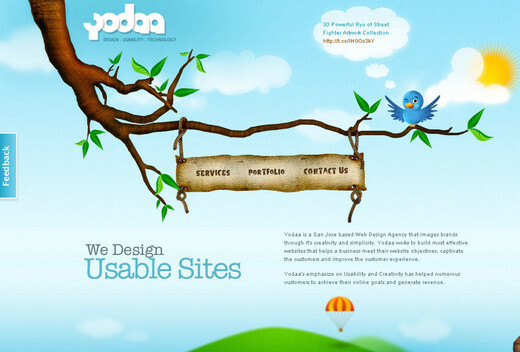 I think my favorite was the YODAA website. 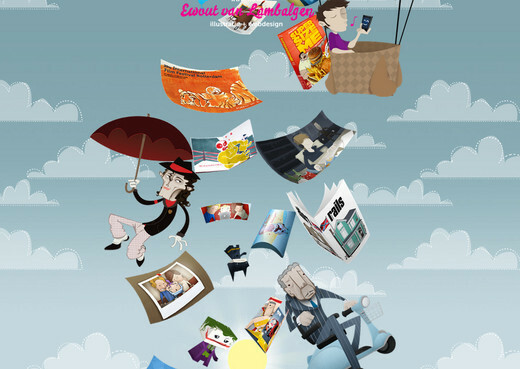 I love this kind of illustrations, it’s almost just like a character jump off from a book to your web. Amazing, Thanks from Chile. Very inspiring list, I like them all! These are just adorable. Playful and artistic. They remind me of those what-a-cartoon series in Cartoon Network. 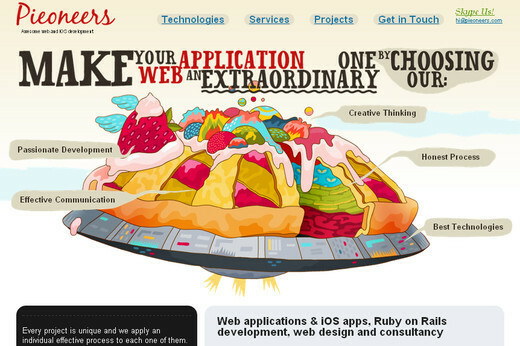 Illustrations can truly bring spice to a website. These websites are great! As a new designer I hear so much from the older generation of designers about keeping everything in a box, these are innovative and I hope to see more like them on the web. We are creatives, so lets be creative! 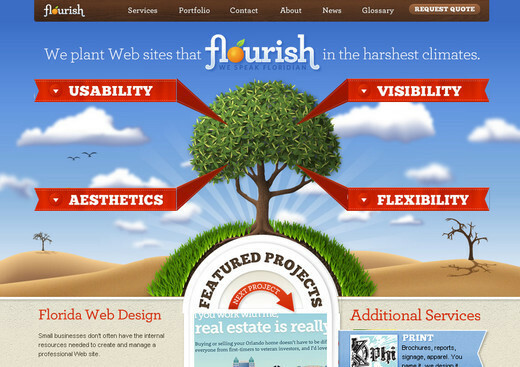 A good variety of examples here, I particularly like Flourish..